Udaipur: lakecity’s Maharana Pratap Airport has made all the Udaipurites proud again. It was ranked as the 2nd best airport under the Annual CSI Award across India. The Customer Satisfaction Index survey, which is done twice in a year, 1st between Jan to June and the 2nd one between July to December announced the results recently. Raipur Airport was again ranked at the top of the index. 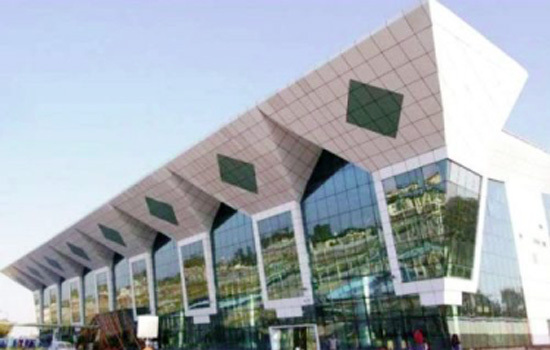 Trichi Airport came in third place.The award will be given to the Director of the Maharana Pratap Airport at the 24th Annual Day celebrations of the Airport Authority of India.In its constant efforts to guarantee best customer services and helpful atmosphere and environment at the Airports, the Airport Authority of India ensures that the best services are allocated by the service providers. This is why the survey on customer satisfaction is conducted by a third party, which is hired by the AAI.